On the heels of the ORA Yellowline Goby Availability announcement, ORA has just released their latest coral. The ORA Purple Undata has just been added to the ORA list. The brilliant purple plating montipora grows into a thick dark purple plate with a light growth edge. ORA reports that under extremely bright light, the ORA Undata will adapt a unique blue hue. 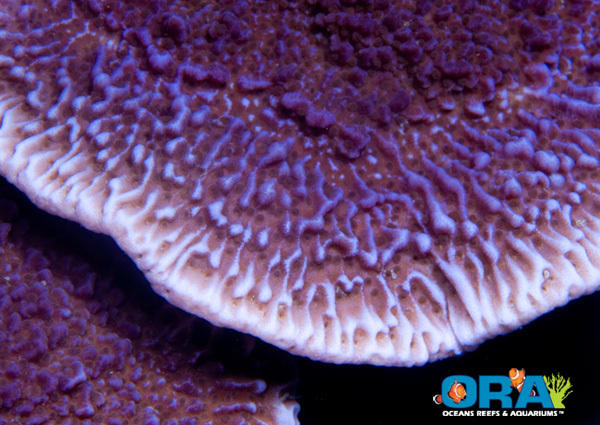 ORA has been propogating this coral since 2008 when they received a piece from a European hobbyist. Frags will be shipped on cement/aragonite disks and will be approximately 1 inch in diameter.